Using utilitarian craft materials, Kate Terry’s practice mimics the strategies of hobbyists and the manners of a do-it-yourself sensibility. Working with the flimsiest of materials she creates elaborate installations, which recall the rigorous regularity of Minimalism. Taking her cue from spatial and architectural idiosyncrasies (such as overhead lighting racks, electrical sockets, or a bump in the floor) her configurations create complex curves and arcs. The decidedly non-heroic Thread Installations appear almost invisible until viewed in close proximity, and the phenomenological, optical illusion created makes it unclear where the installation begins and ends. It leaves a gallery neither full nor empty. Kate Terry was born in Canada in 1976 but raised in England. She returned with the support of a Commonwealth Scholarship and received an MFA at the University of Guelph in 2002. Since then, Terry has lived and worked in London, and has exhibited widely in both Canada and the UK. Recent exhibitions include Pinpoint at the Arts Institute at Bournemouth, UK, 2005, Shibboleth at Dilston Grove, London, UK, 2006, and More and Less at Eyelevel gallery in Halifax, 2006. Kate Terry strives for perfection. Meticulously, delicately, and with great restraint she skillfully alters gallery spaces and the way viewers experience them. And yet the work she eventually completes is, at first, almost invisible. She works extremely hard to create an installation that reveals itself slowly — transforming imperceptibility into spectacle. Ironically, the purity Terry seeks to achieve through her method is inspired and guided by the impurities of the given space. The direction and the shape of the thread structure are dictated by what she calls “the errors in space.”2 In past installations, these ‘errors’ have included slight deviations in the height of two walls, bumps in the floor, or particular idiosyncrasies in the interior architecture. Each knot subtly expresses its distinctiveness and defies uniformity as its individuality is only revealed upon close examination. 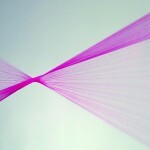 Hundreds of threads elegantly slice the volume of the gallery. The result is spectacular. The installation comes into being in space, from its imperceptible edge to its inevitable, dense intersection — a climactic moment — and then returns to near invisibility. It is seductive, sensational, and sensuous. I understand it as an extreme reduction of Bernini’s The Ecstasy of St. Teresa(1647-52). It is baroque minimalism. 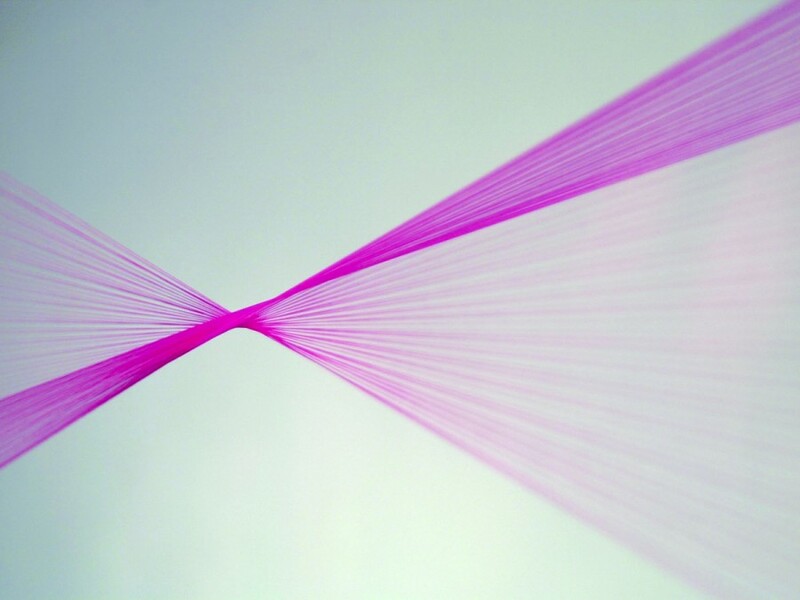 Kate Terry’s project at Mercer Union is her fifteenth Thread Installation. These installations are not quite drawing, not quite sculpture. As she states, they leave the “gallery neither full nor empty.”3 Terry cites two dominant inspirations: the rigor of Minimalism and the do-it-yourself craft movement. This might seem meaninglessly incongruous, potentially nostalgic, even. Terry’s practice, however, is remarkably articulate in manipulating both creative forms and their distinct visual vocabularies to envision and create a renewed respect for both. If, once again, we are experiencing a mini-revival of the high Minimalism of the 1960s and ‘70s, it wears an endearing patina, much like fingerprints on a Donald Judd copper box or footprints on a Carl Andre floor piece. Minimalism, it turns out, was never really all that minimal. Its giants are not heroic. On the contrary, they are quite human. Over nine years ago, I saw Richard Tuttle — the ‘intuitive’ Minimalist — reproduce one of his remarkable Wire Pieces (1971–74), at the Art Gallery of York University.5 I found him sitting alone in the middle of the gallery during installation and he talked to me mostly about leaving New York City for New Mexico and then splitting his time between the two. After a while he began to draw on the wall, then stretched a piece of wire, attached it to a small nail, and left it dangling. 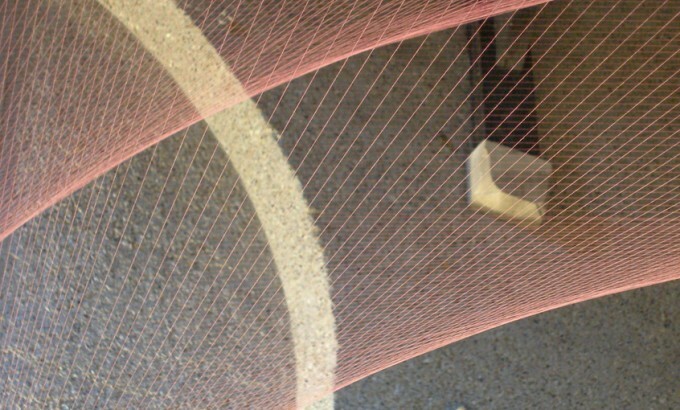 Gravity and the wire’s memory dictated its shape. Faint shadows appeared and the piece was complete. 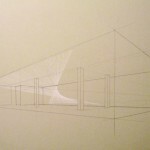 Much has been said about these works since, but in 1972 when the Wire Pieceswere first exhibited a comparison was made between them and Sol LeWitt’s line drawings. 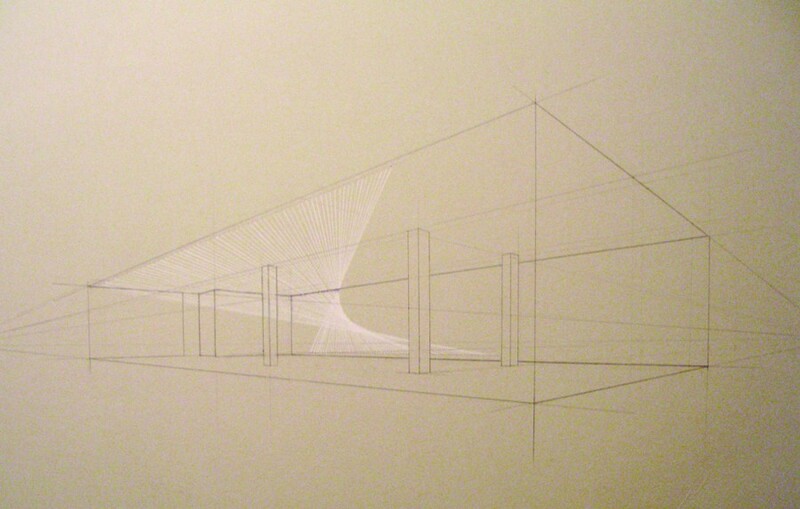 The important difference seemed to be that LeWitt’s drawings could be created by an assistant from sketches and instructions, while Tuttle’s works were drawn by the artist himself each time they were installed. The drawings recorded the artist. Kate Terry shares many of Tuttle’s sensibilities, among them an attraction to what he calls ‘pathetic’ materials: cloth, paper, wire. She calls her materials quotidian, utilitarian, The resulting work by both artists defy category, flirt with invisibility and infinity and yet respond to the particular, re-image space, and beautifully surprise the viewer. More importantly, however, what these two artists share is a deep respect for drawing. They acknowledge the human hand and its capacity to record lived experience and personal memory as fundamental – as the beginning. The hand and its gestures are the ultimate producers of impurity. And what is more impure than human emotion? Tuttle’s project in the Wire Pieces,was to figure out how to “keep [himself] out of [his] work.”7 Moving from the hand-held pencil to the wire to the shadow, Tuttle steps out of his work. In her search for perfection, Terry seeks to eliminate herself as well. Tuttle’s deliberate disappearance is understated, while Terry’s self-erasure is a spectacular flourish in an empty space. 1. Typically, she has used only one colour and one form, however recently she has experimented with two of each. 2. Conversation with the artist, 3 December 2006. 3. Artist statement, November 2006. 4. Richard Tuttle, Documenta 5 catalogue, Kassel, 1972. 5. Richard Tuttle: New and Early Works, Art Gallery of York University, 25 September to 16 November 1997, curated by Loretta Yarlow. 6. Richard Tuttle quoting Betty Parsons (art:21, http://www.pbs.org/art21/artists/tuttle/clip2.html). 7. Richard Tuttle: Wire Pieces (Bordeaux: CAPC Musée d’art contemporain Bordeaux, 1986), p. 37.